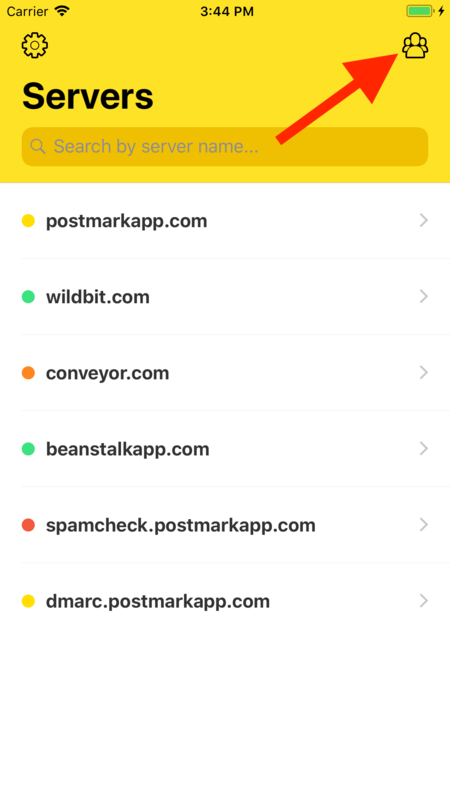 If you manage multiple Postmark accounts you can add them all to the Postmark iOS app and quickly switch between them on the account management screen. 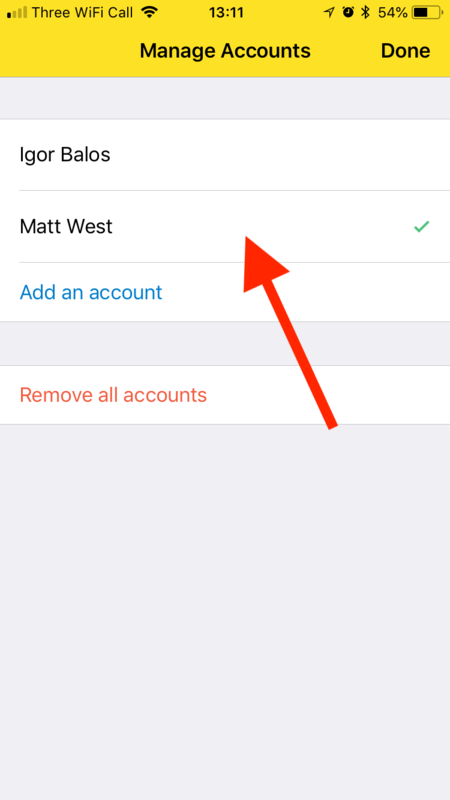 You can only add a single user for each Postmark account. It’s not possible to add multiple Postmark users for the same account. Start by opening the account management screen by tapping the user icon in the top-right corner of the servers screen. Tap the “Add an account“ button. 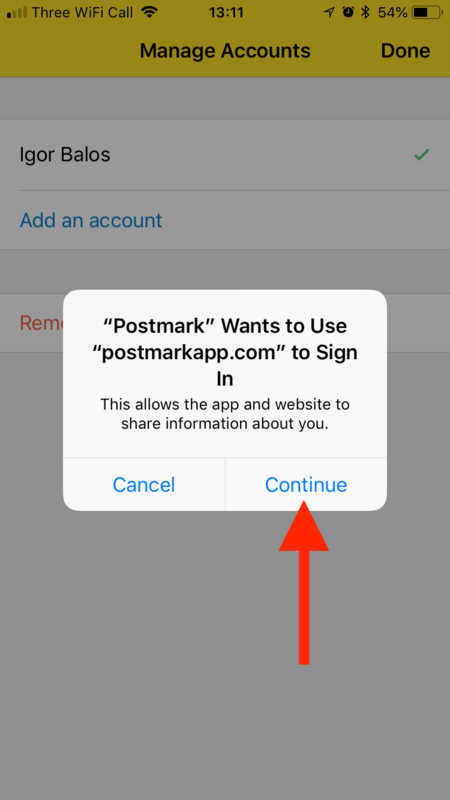 You will be prompted for permission to access your web browsing data so we can automatically log you in to Postmark if you’ve previously logged in through Safari on your device. 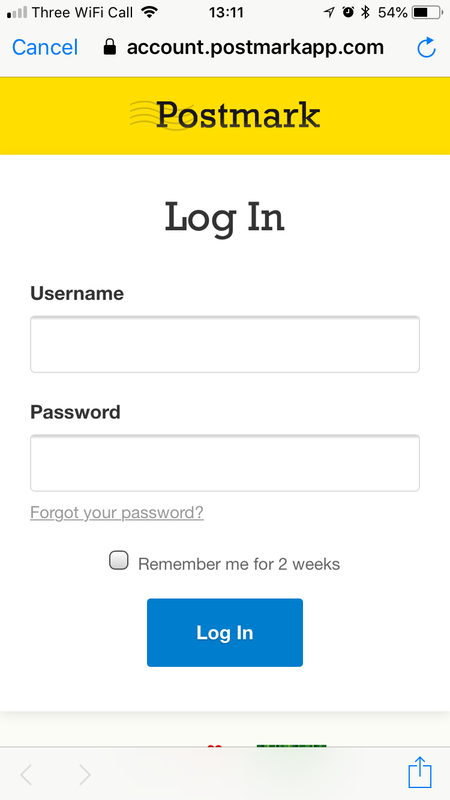 If you’re not already logged into your account, you may need to enter your login details. 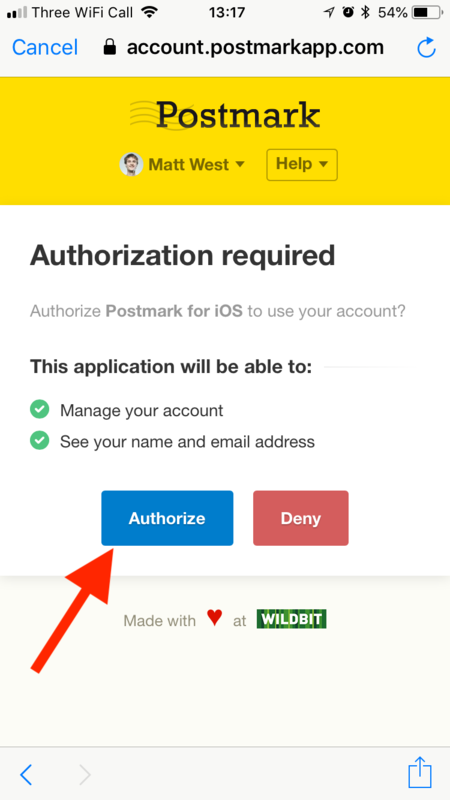 You will now be asked to authorise the Postmark iOS app. This will give the app access to your account data. You can revoke this access at any time from your profile page. Once the account has been added. 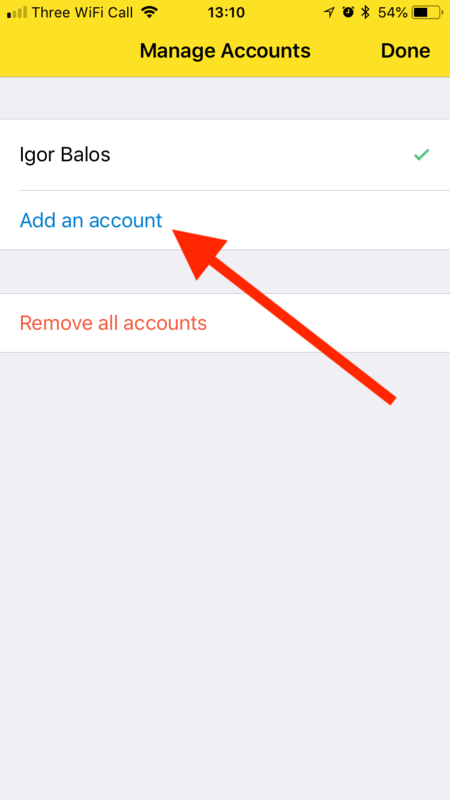 Tap the new account to set it as the current account and tap “Done” on the account management screen.